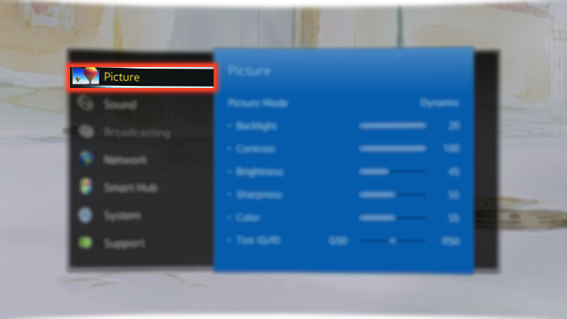 How to adjust the Pictures for Easier Viewing in Samsung Smart TV? 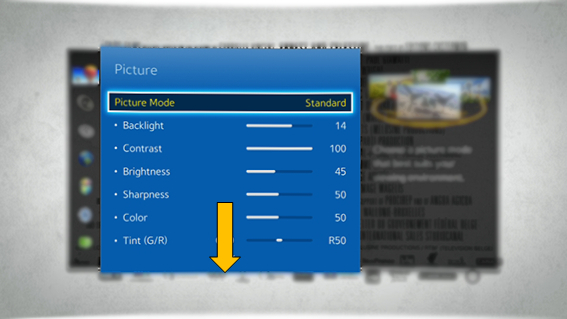 CLICK HERE to know how to finely tune the Picture Mode in Samsung Smart TV. CLICK HERE to know how to view the Picture in 3D Mode in Samsung Smart TV. a). Press the MENU button. c). Scroll down for more Options. e). 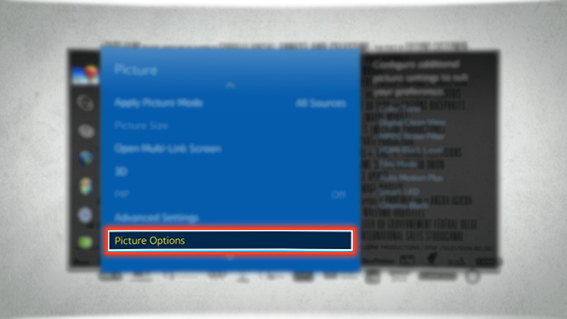 You can configure additional Picture settings to suit your preference. Below mentioned are the features of each settings. ● Color Tone : It changes the intensity of the white light in the picture which will add a blue or red hue to your picture. ● Digital Clean View : It reduces picture noise to avoid distracting lines and flickering. 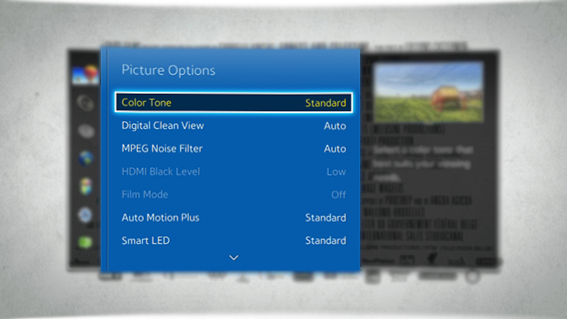 ● MPEG Noise Filter : It improves video quality by reducing MPEG noise in picture. ● Auto Motion Plus : It lets you optimize the screen for displaying fast action scenes. ● Smart LED : The device will automatically adjust brightness of individual areas on screen for maximum contrast. ● Cinema Black : It allows more immersive viewing for cinema resolution by dimming control.